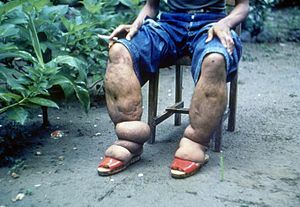 ↑ अ आ इ ई "Lymphatic filariasis Fact sheet N°102". World Health Organization. March 2014. अभिगमन तिथि 20 March 2014.